About 2 years ago a Wild Dogs member suggested that we film this historical route. We finally got around to doing that last Sunday and we offer a brief overview of our experience, but the new video set will still be a few weeks before production is complete. If you've never ridden this route, it is well worth the effort, although it's a long ride to undertake in a single day. A better plan is to camp at Mertenshof in the Biedouw Valley (or rent a chalet) or at Die Mond (off the R355) if you intend riding it in the opposite direction. The route takes about 3 hours to complete if you push it and 6 hours if you stop a lot (in a 4x4 - bikes will do it much quicker). Highlights of the route are the two big gravel passes of Kraaiberg and Karretjies and the crossing of the Doring River can become hairy when the water levels are high. It's also easy to get lost on this route, so it's essential to have a GPS with T4A which shows the whole route. The video set for this route will be produced in the near future. It's best not to tackle this ride between June and November when the river crossing will be too deep. 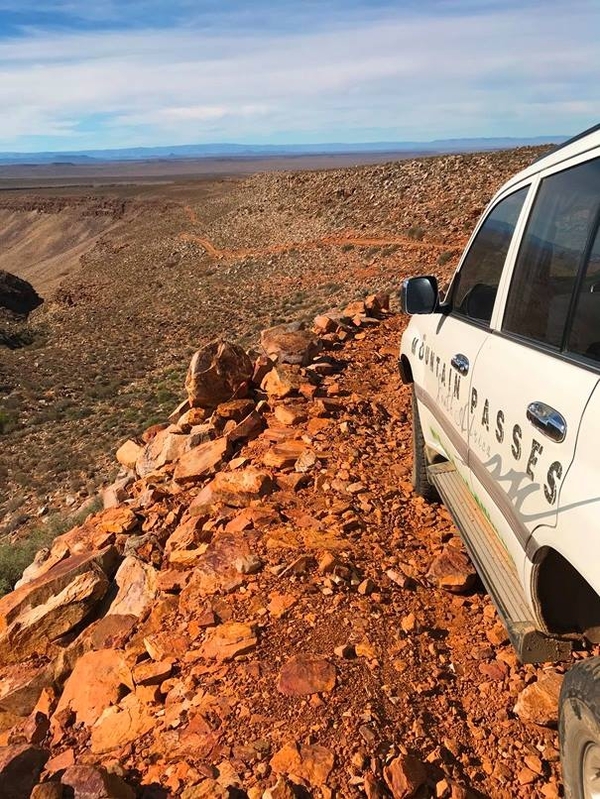 Our featured pass is the historical Bonnet Pass in Mpumalanga, where we take a trip down memory lane to the early gold rush days of the mid 1800's. The link below will take you to the relevant pages which are all open to Wild Dogs members till Sunday. Enjoy the cyber drive and absorbing the rich South African tapestry of historical events. My 'new-to-me' smart tv has turned your YouTube videos into real spectacles. I spend far too many hours traversing mountains in my living room.